A pentomino is a figure made of five squares joined edge to edge. There are 12 such figures, not distinguishing reflections and rotations. They were first enumerated and studied by Solomon Golomb. 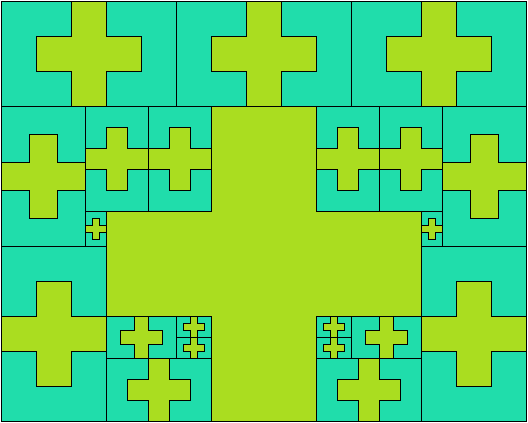 For other rectangles that these pentominoes tile, see Mike Reid's Rectifiable Polyomino Page. 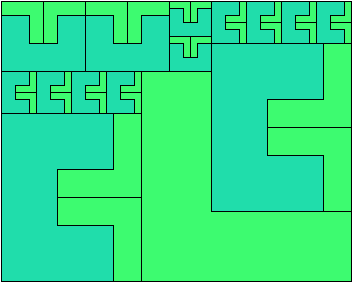 On Balanced Two-Pentomino Rectangles I study the problem of tiling some rectangle with two pentominoes, using the same areas of each. 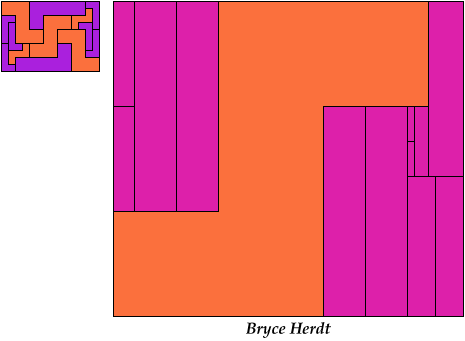 Here I study the same problem, using the pentominoes in various sizes. If you find a better solution than one of mine, or solve an unsolved case, please write! This table shows the smallest total number of scaled pentominoes known to be able to tile a rectangle in equal areas. So far as I know, these solutions have minimal tiles. They are not necessarily uniquely minimal.